Whether you are fitting new alloy wheels or just detailing your current wheels the best way to transform the apperance of your car is to pay attention to the 'running gear'. Alloy Wheels - ensure any kerb damage is repaired; replace old rusty nuts or bolts with new galvanised, satin black or even coloured nuts; A new set of locking wheel nuts or bolts to match not only brings you up to date with the latest in security but improves the appearance no end. Braces and Wheel Alignment Tools - be prepared: Keep these items with your spare tyre. Valves, Tyre Pressure Gauges and Monitoring Systems - be safe and, again, be prepared with these essential items. Carnoisseur can recommend what you need to keep you safe and make sure your car always looks as good as new. 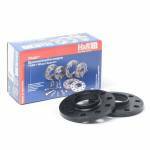 Carnoisseur have a full range of H&R Wheel Accessories. 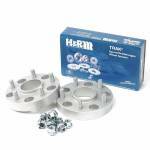 To view the H&R Wheel Accessories we offer simply make your selection below. 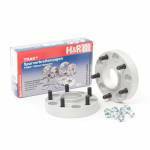 You can purchase H&R Wheel Accessories on-line or through our network of Carnoisseur Outlets. To find out more about Wheel Accessories click here to view our Carnoisseur Wheel Accessories Guide.